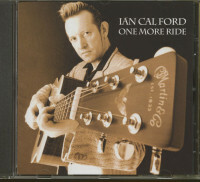 (Catty Town Records) 14 Tracks - For over 20 years Ian Cal Ford has been an established player in the British rock'n'roll and country scene, and with his band The Railmen he has reliably delivered high-quality music in the field of tension between these genres. 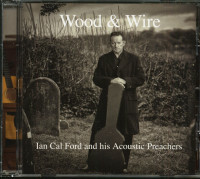 With ''Wood & Wire'' the singer and guitarist fulfills his dream of recording an album with his favourite songs in acoustic form. The new formation The Acoustic Preachers consists of Ford with his acoustic guitar and lead vocals and then only double bassist Carl Beddis and Dave Luke on the mandolin, which carefully complements the songs of Hank Williams, Merle Haggard, Jimmy Driftwood or Johnny Cash - with polyphonic backing vocals - with a charming Bluegrass touch. 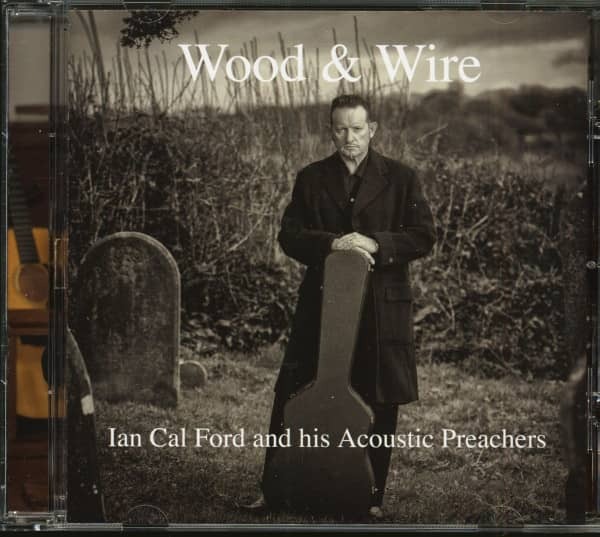 "Less is more" is defined here in the best sense, and those who have a soft spot for 50s roots music will find it hard to resist the charm of "Wood & Wire". 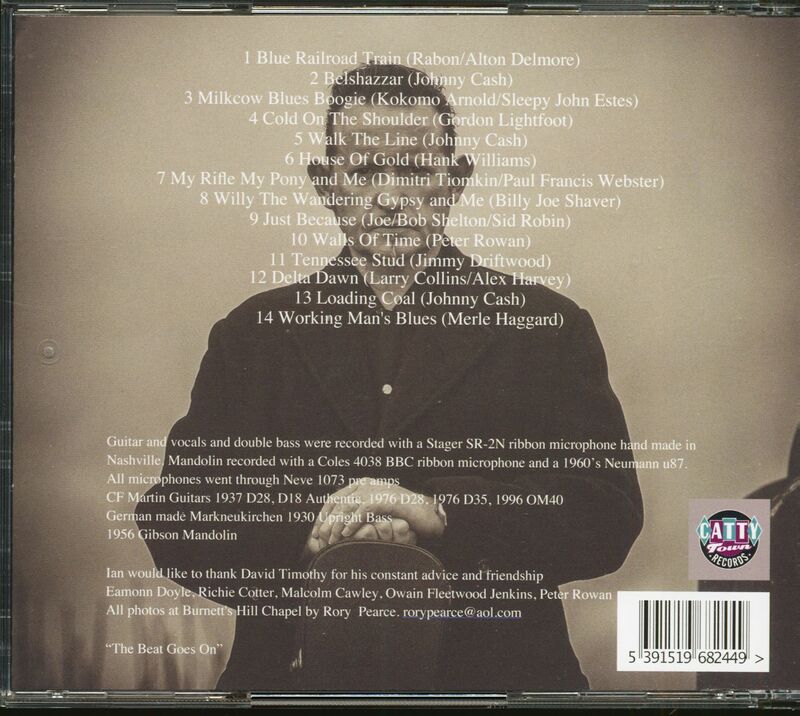 Customer evaluation for "Wood & Wire (CD)"